The heroes are arranged by pick rate, and the data considers all games played in any region in the 5k+ (Divine) bracket. Note that we can’t filter data for 7.18 only, so the past 30 days are examined. Statistics from Dotabuff. Io, Night Stalker, and Sand King dropped from the top 10, and have been replaced by Phoenix, Pudge, and Mirana. Usually, I present one hero in detail, and then explain all the changes brought in by the new patch. 7.18 affected almost all heroes in the new and old top 10, so I decided to focus my attention on them. Powershot damage reduced from 180/270/360/450 to 150/250/350/450. In this patch, Windranger reached the top 10 also as a mid laner, even if not with the absurd 30% pick rate she enjoys in the off lane. Powershot was recently buffed in 7.14, which increased the damage in the last two levels from 340/420 to/360/450 - nothing huge, but still useful to improve your wave-clearing ability. The changes in 7.18 are intended to weaken her laning stage as now she has slightly less mana, -2 attack, and -20/-30 damage in the first two levels of Powershot. I don’t think these nerfs had a great impact. As an offlaner, her pick rate increased in the past weeks, while the win rate slightly declined from 50.8% to 49.8%. We can explain the win rate drop simply due to the popularity boost - even players with less experience with the hero are picking her. Base movement speed reduced from 285 to 280. A small nerf that won’t hinder Doom’s capabilities as an offlaner. I assure you that you can pick him in almost every game without regrets. Thanks to the AoE damage and health regeneration provided by Scorched Earth, Doom can survive and have the upper hand against most lineups. He will often force both the enemy supports to remain in the lane against him to defend their core - meanwhile Doom’s teammates will have an easier early game without gankers. Maximizing Devour first is a big mistake committed by low ranked or greedy players. As an offlane Doom, your goal isn’t turning into the most farmed hero in the game, but be a nuisance for the opponents during the lane phase, and then contribute to the early fights with your massive presence and nullifying ultimate. Arcane Bolt mana cost increased from 70 to 90. In the past series, I praised Skywrath Mage’s skills as an aggressive dual laner. With Arcane Bolt he can harass the opponent every 5/4/3/2 seconds, and truly there isn’t much you can do to counter it. The Magic Stick, an extra Tango, regeneration, or magic resistance are all useful, but they are still not enough until you can acquire slightly more expensive items - such as the Ring of Health - to sustain your hero. The mana cost increase from 70 to 90 is considerable, but Skywrath Mage has still 450 mana at level 1: previously, he could use the ability 6.4 times before depleting his mana pool, now 5. It hurts him, but nowadays everyone buys Clarity potions during the lane phase, so he might be less dangerous only in the hands of greedy supports. Relocate now has channel time instead of a cast delay. 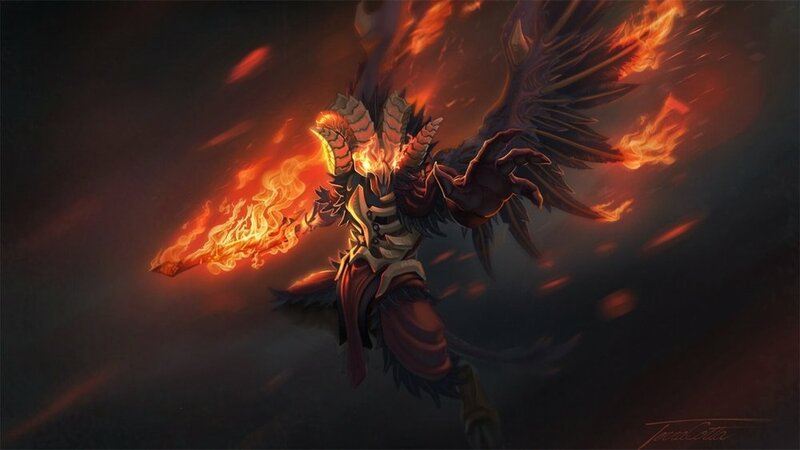 Io has been nerfed in all the previous patches, but pro players continued picking him, and in the June tier list he was the best tier 1 hero with 344 drafts and 322 bans. I believe that while the ultimate now is worse, the ability can still be game-changing depending on the situation and the enemies faced. Also, do not forget that among Io’s strengths there is an amazing laning stage. You can’t move while using the ultimate. Before, a stun was necessary to interrupt the ability, while now even a silence is sufficient. Defensive relocates (to save cores from nasty situations) are heavily nerfed, and Io will require more items for his own survivability. The Glimmer Cape might become one of his new core items. Offensive relocates (to gank or participate in a fight) might become almost impossible to pull out in pubs as people tend to move and break the tether, and now you can’t follow them while channeling. More communication is required. Wild Axes mana cost increased from 80 to 80/85/90/95. Primal Roar cooldown increased from 80/75/70 to 90/80/70. Level 10 Talent reduced from +25 Movement Speed to +20. Level 15 Talent reduced from +7 Armor to +6. Level 20 Talent reduced from +100 Wild Axes Damage to +80. I already talked a lot about Beastmaster in previous analyses. The hero is an excellent laner, can survive versus casters (717 health pool), and trade hits with almost any hero (64-68 damage and 305 movement speed). Wild Axes helps his dominance in the lane phase damaging the opponents and amplifying his own attacks. All the nefs in 7.18 are small ones, and won’t really interfere with his gameplay. Meat Hook cast range increased from 1000/1100/1200/1300 to 1300. It may be a good idea to start with Meat Hook at level 1. The cooldown of the skill is long (17 seconds) but it also deals 150 damage. It mostly depends on the disables available in the team at level 1 because to deal as much damage with Rot you need to affect the target for 5 seconds. Flesh Heap magic resistance increased from 6/8/10/12% to 8/10/12/14%. Not a bad buff, but I would still give priority to his other skills as usual. Maybe you can consider an earlier level in Flesh Heap if you got already a multitude of stacks. Level 10 Talent reduced from +20 Damage to +15. Level 25 Talent reduced from -75s Moonlight Shadow Cooldown to -70s. Void now deals half damage during day. Base movement speed reduced from 290 to 285. Similarly to Io, Night Stalker has been nerfed several times already due to his massive popularity in all regions. Explanations on his gameplay, role in the meta, and past patch changes can be discovered using the search function on the website. I featured him about four times so far. The nerf to Void in 7.18 is a big deal because now it inflicts only 45/80/127.5/167.5 damage during the day. Even if IceFrog tried his best to weaken the hero, Night Stalker maintains a positive 53% win rate as an offlaner at 5k MMR (with a more limited pick rate). He has amazing stats that help him against any opponent during the lane phase: 717 HP, 4.8 armor, 3.25 base health regeneration - he can survive both magical and physical harassment. All these changes diminished his viability, and made him a weaker foe during the day, but If NS can have a decent lane, once the first night comes the predator is back at full strength, and becomes a real nuisance for any hero in the opposite team. Burrowstrike cooldown increased from 11 to 14/13/12/11﻿. A 3 seconds increase on a skill with a 11 seconds cooldown is a substantial increment, particularly if you consider the possibility to stun multiple targets at the same time. Duel bonus damage increased from 10/14/18 to 10/18/26. The level 25 talent +40 Duel Damage Bonus is basically mandatory (picked in 91% of the games with a 60% win rate!) because Duel doesn't provide enough damage. Even after the buff, I still think that +10 bonus damage at level 1 is not enough.